AMX 13 57 (not GF) was first sold a year ago and now it's on sale again. 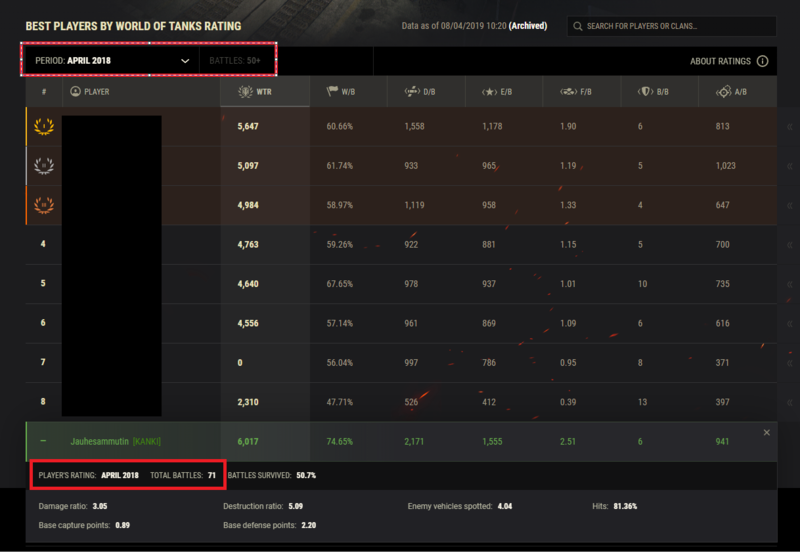 I 3-marked the tank in April 2018 when it was released and since then I've been wanting to see how I did compared to the rest of the server. I know the "Hall of Fame" and "WTr" are still in beta (after 2 years?) but are they completely abandoned? It took almost a year for the 13 57 to appear in the Hall of Fame and it isn't even working properly. There are only 8 players on the "+50 battles April 2018" -list. I played 71 battles and didn't even make the list. All the other months feature hundreds of players in the list. Hall of Fame shows only the last 13 months so I won't be able to check it after this month. What is going on with HoF? Are they going to fix it or just drop the whole system? Does anybody have any info on this matter? Edited by Jauhesammutin, 08 April 2019 - 01:50 PM. So, a week later there are a whopping 11 players in the Hall of Fame for AMX 13 57 (April 2018). With this +3 players per week -rate we can expect to complete the list in less than 6 years. Do they put these numbers in manually? How can it take a week to add 3 players? Wasn't there something that it only adds you if you played over 50 games in it that week/month/time period of choice? If so, maybe most people play it for less than that. Look at the first picture. 71 battles played and not on the list. May 2018 has over 800 players on that list and June 2018 has over 600. It was released in April so I would be very surprised if there were only 11 players (excluding me for some reason). why do you care about one particlular month of play a year ago? - yes i know you bought it and 3 marked it that month but really??? no one except you and only you will ever look at april 2018 1357 stats so no one really cares. the only semi-useful chart is the "since 2014" one. Edited by TheDrownedApe, 15 April 2019 - 03:51 PM. to be included in that sort of list. Isn't that enough if I care? The rest of the months seem to work properly. So my question is why isn't that particular month working. I don't care to play over 100 battles just to get to the +200 mark. It was released on 1st of April, so we had the whole month. That's when it (probably) got played the most. Yes, and 71 is at least 50?